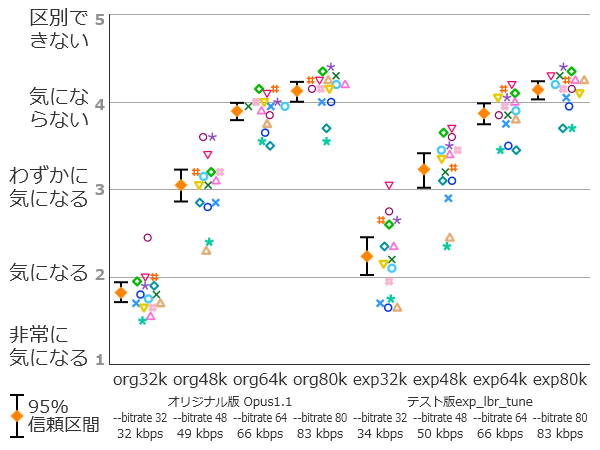 テスト版 Opus 1.1.1-rc-49-g5db9e14 branch exp_lbr_tune, with opus-tools 0.1.9. "-" as infile means stdin. On ADTS/WAV output mode, "-" as outfile means stdout. 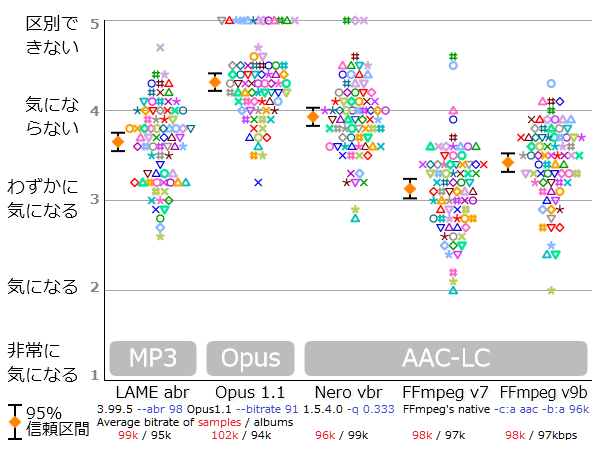 For -a, -v, -c, "0" as bitrate means "highest". 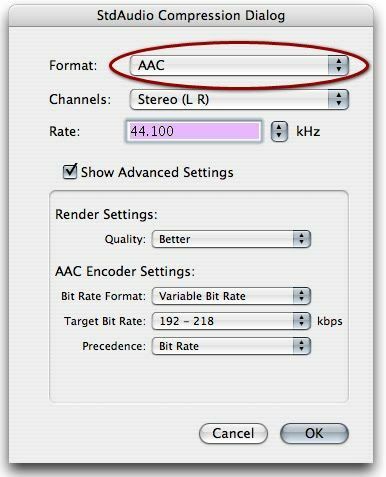 Highest bitrate available is automatically chosen. -d <dirname>           Output directory. Default is current working dir. --check                Show library versions and exit. -D, --decode           Wave output mode. n: desired output sampling rate in Hz. --lowpass <number>     Specify lowpass filter cut-off frequency in Hz. --no-dither            Turn off dither when quantizing to lower bit depth. --gain <f>             Adjust gain by f dB. avoid clipping introduced by DSP. 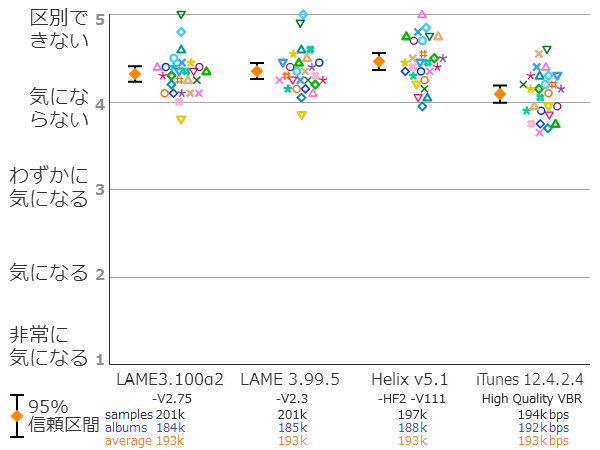 Specify delay either by time or number of samples. begining to achieve delay of specified amount. the beginning (and also tweak iTunSMPB). resolving A/V sync issue of video. --gapless-mode <n>     Encoder delay signaling for gapless playback. --matrix-preset <name> Specify preset remixing matrix name. --matrix-file <file>   Specify file containing remixing matrix. coefficients for the matrix mixer. --chanmap <n1,n2...>   Re-arrange channels to the specified order. For example, "--chanmap 2,1" swaps L and R.
--chanmask <n>         Force specified value as input channel mask(bitmap). --no-optimize          Don't optimize MP4 container file after encoding. -s, --silent           Suppress console messages. --verbose              More verbose console messages. -i, --ignorelength     Assume WAV input and ignore the data chunk length. -n, --nice             Give lower process priority. --sort-args            Sort filenames given by command line arguments. --text-codepage <n>    Specify text code page of cuesheet/chapter/lyrics. 1252 for Latin-1, 65001 for UTF-8. Use this when automatic encoding detection fails. -S, --stat             Save bitrate statistics into file. --log <filename>       Output message to file. --fname-from-tag       Generate filename based on metadata of input. 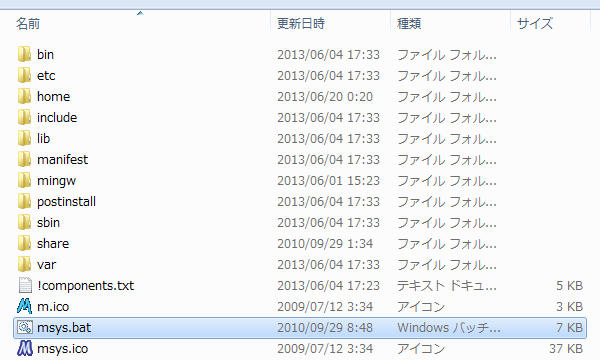 same as input (except for file extension). Name generation can be tweaked by --fname-format. 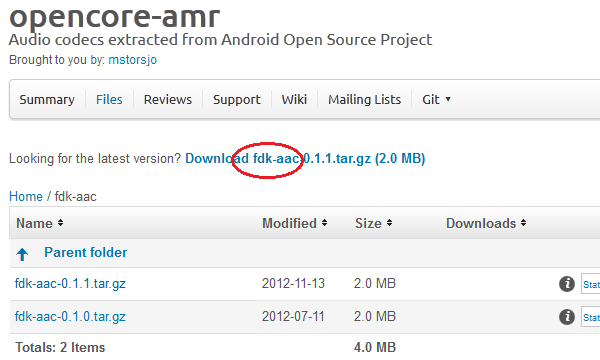 --fname-format <string>   Format string for output filename. --concat               Encode whole inputs into single file. Limit extraction to specified tracks. Tracks can be specified with comma separated numbers. Hyphen can be used to denote range of numbers. Tracks non-existent in the cue are just ignored. Numbers must be in the range 0-99. -R, --raw              Raw PCM input. 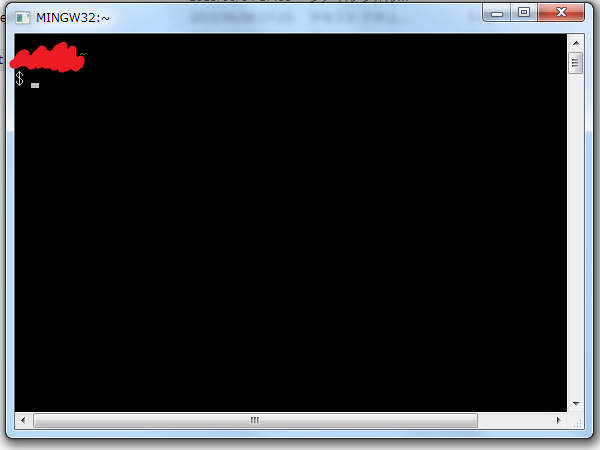 --raw-channels <n>     Number of channels, default 2. --raw-rate     <n>     Sample rate, default 44100. --raw-format   <str>   Sample format, default S16L. Last part can be omitted, L is assumed by default. Cases are ignored. u16b is OK. 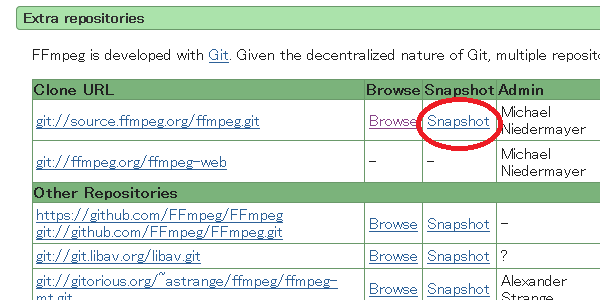 Without argument, codec default SRC is used. by a '=' (space is not usable here). Arguments must be delimited by a ','(comma). and one of line, norm, bats. which is an integer between 0-127. --band <string>       This means "Album Artist". By default, iTunes compilation flag is not set. --compilation or --compilation=1 sets flag on. --compilation=0 is same as default. --artwork-size <n>    Specify maximum width or height of artwork in pixels. this, artwork is automatically resized. LC 22050Hz 3.0 (C L R) -- 48,55.998,63.999,72,79.998,96,111.999,127.998,144,159. LC 24000Hz 3.0 (C L R) -- 48,55.998,63.999,72,79.998,96,111.999,127.998,144,159.